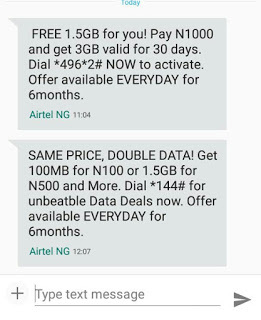 We just updated this post because Airtel 100% Double data is back this post was first published on 6/May/2017. 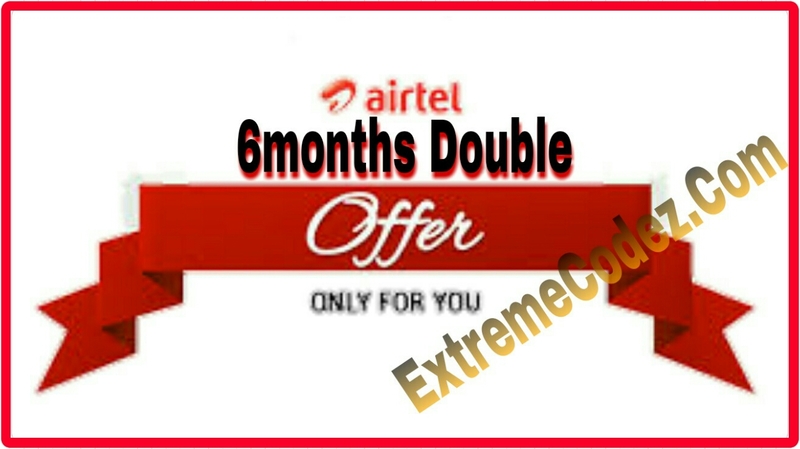 Airtel has just introduced 100% double offer for 6months. Wow! We know this what many want to hear, that one of the best network in the country will put out something profitable for their subscribers. Never the less you are not left out even if glo has cut their data plans to 50% volume, we strongly believe that with this newly introduced Airtel double offer you will have nothing to worry about. 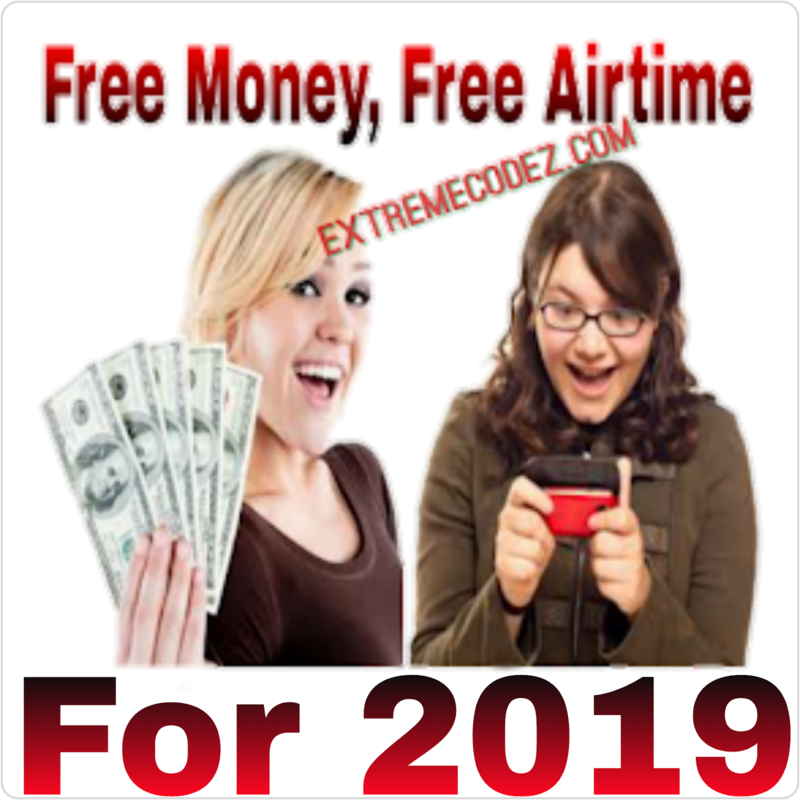 This 100% offer from airtel similar to the MTN 100% double offer that you will get only when you purchase a new smartphone however there's a way you can get the 100% offer that's valid for 6months and 20% offer that's valid for 3months from mtn. Alright let get back to today's topic the data can be used for streaming iptv, playing online games, downloading, uploading and browsing without any help of tunneling VPN, you can also use it on Laptop — PC, JAVA Phones, Tablets, iPhones, Android and lots more. 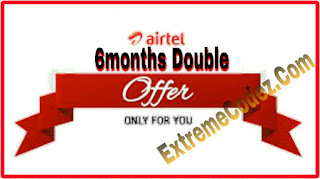 This offer from Airtel is amazing because it's valid for 6 months. thats to say the subscription will end (30) days as your data validity period but the double data offer will end in 6months. This will definitely be the people choice, because when you subscribe for 1,000naira for 1.5GB by dialing *497*6#, you will be given 3GB of data (E.g) 1000naira for 3GB. Firstly, dial *144# it will bring up the menu, from the menu select 1, 2, 3, 4, 5 to activate any data plan from the pop up option. 400MB For N200 valid for 3days. 1.5GB For 500naira valid for 14days. 3GB For N3,000 valid for 30days 1month. 7GB For N2,000 valid for 30days 1month. 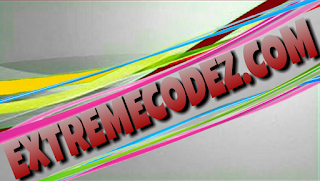 10GB For N2,500 valid for 30days 1month. Once activation is successfully, you can start browsing and enjoy your data it works perfectly on all device. Get 3GB For 3,000Naira valid for 30days month, 7GB For 2,000Naira valid for 30days month, 10GB For 2,500naira valid for 30days month.